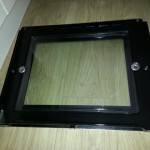 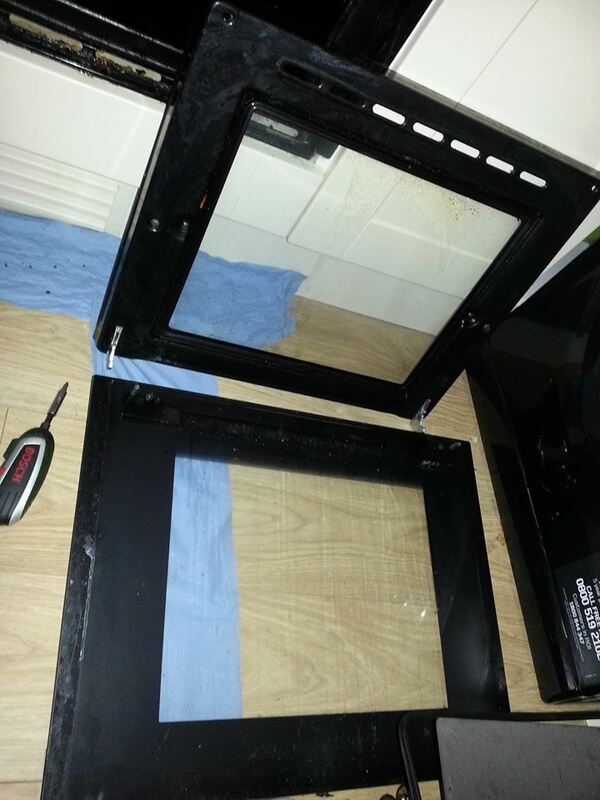 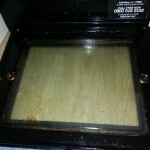 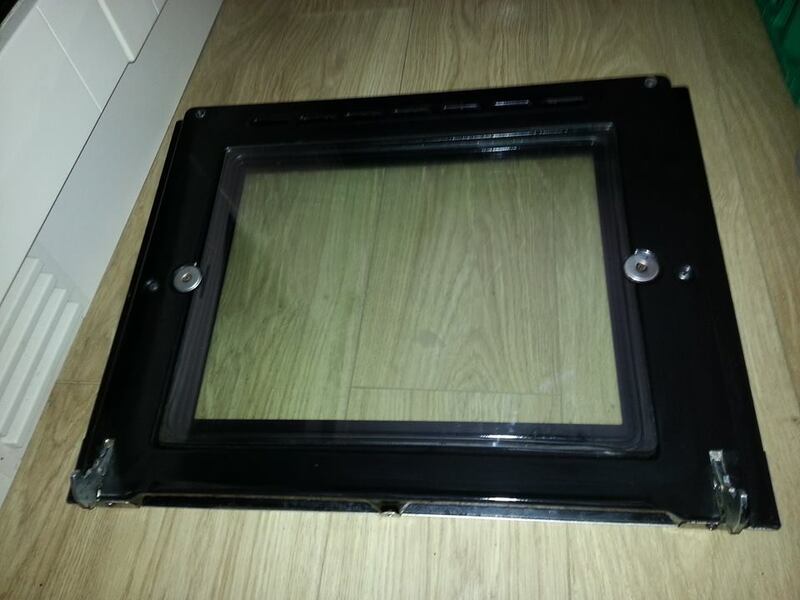 Before and After images of a Hotpoint single oven door clean. 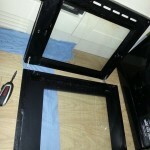 The door is dismantled for a thorough clean and not just wiped over. 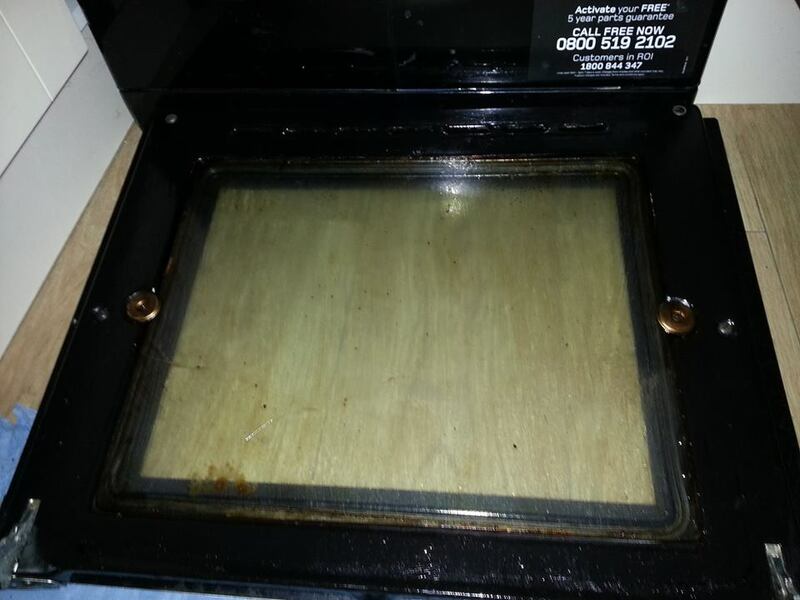 A professional oven clean is much more thorough than a normal clean and will bring your cooking appliance to nearly new condition.